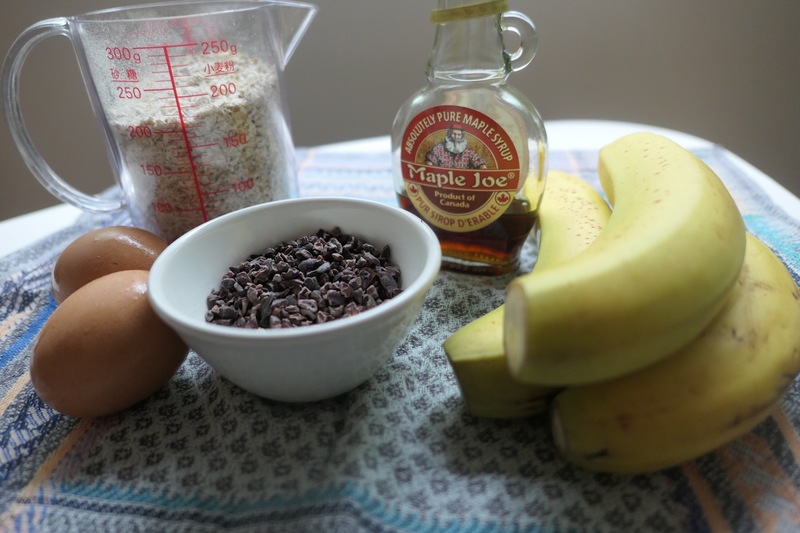 I love banana bread… well I mean I love bread, period. All the carbs, yes please! This bread takes only a few ingredients, which most will have on hand in their kitchen. 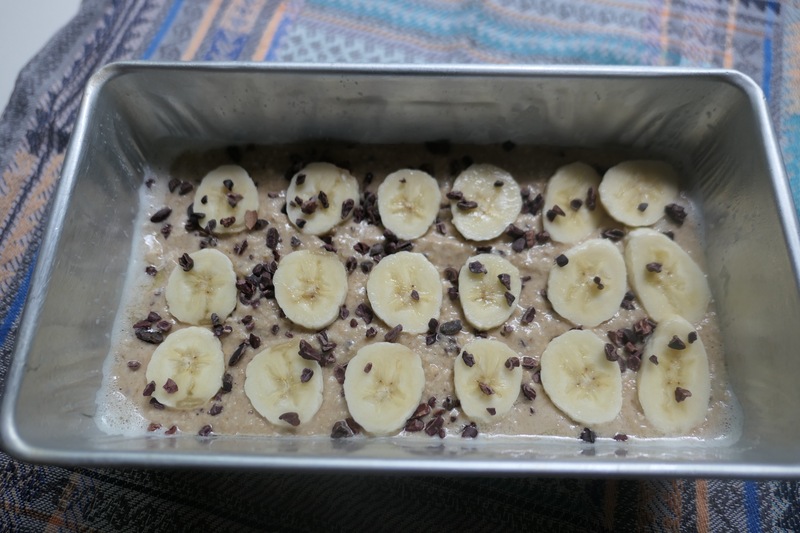 The best part about this banana bread is that it looks impressive and like it takes skill to create, but I am no chef so I like to keep all of my cooking clean and simple. 3 medium sized banana (very ripe are best) but yellow work just fine too! 3 tbs cacao nibs (optional). You can also use chocolate chips if ya think you’re fancy. Bake for approx. 25 minutes or until you can poke with a toothpick and it comes out of the bread clean.